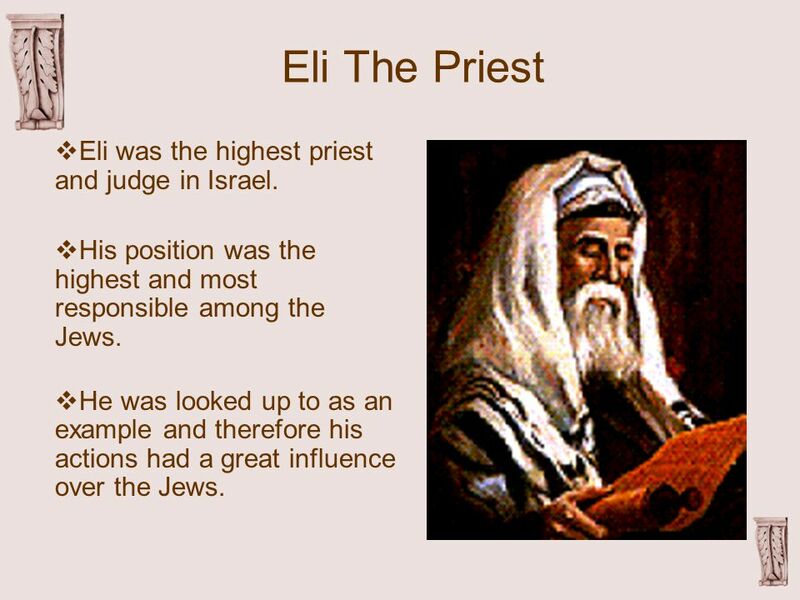 3 Eli The Priest  Eli was the highest priest and judge in Israel.  His position was the highest and most responsible among the Jews.  He was looked up to as an example and therefore his actions had a great influence over the Jews. 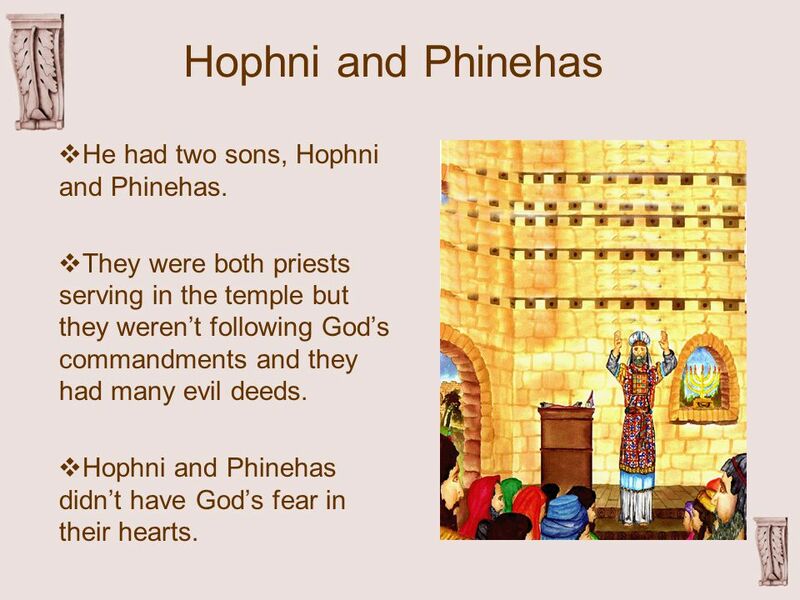 4 Hophni and Phinehas  He had two sons, Hophni and Phinehas.  They were both priests serving in the temple but they weren’t following God’s commandments and they had many evil deeds.  Hophni and Phinehas didn’t have God’s fear in their hearts. 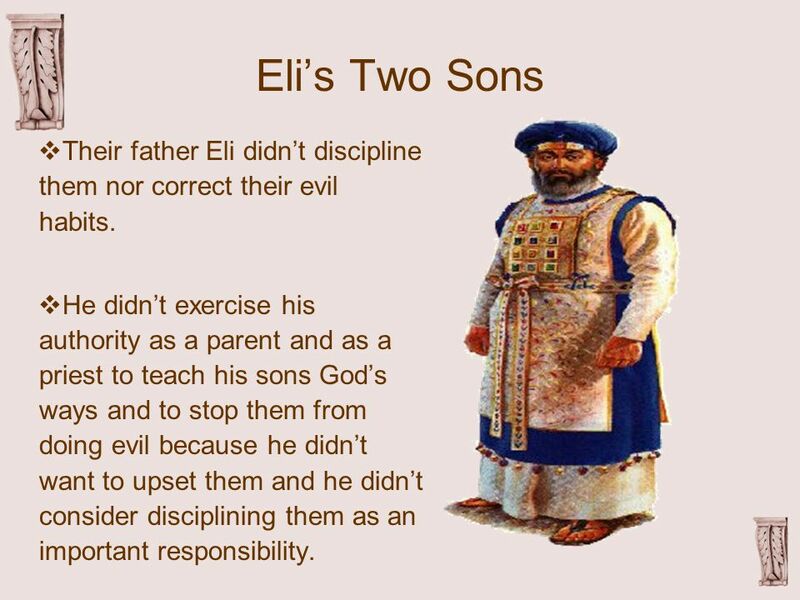 5 Eli’s Two Sons  Their father Eli didn’t discipline them nor correct their evil habits. 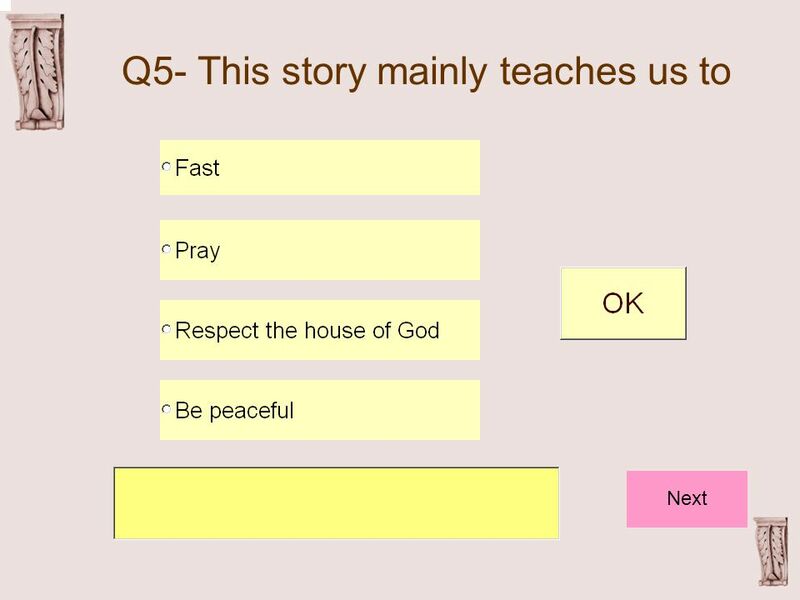  He didn’t exercise his authority as a parent and as a priest to teach his sons God’s ways and to stop them from doing evil because he didn’t want to upset them and he didn’t consider disciplining them as an important responsibility. 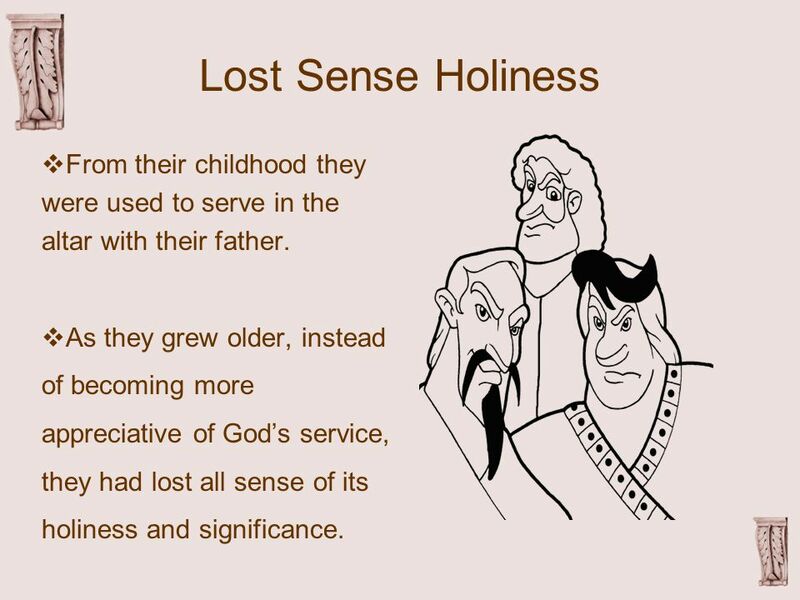 6 Lost Sense Holiness  From their childhood they were used to serve in the altar with their father.  As they grew older, instead of becoming more appreciative of God’s service, they had lost all sense of its holiness and significance. 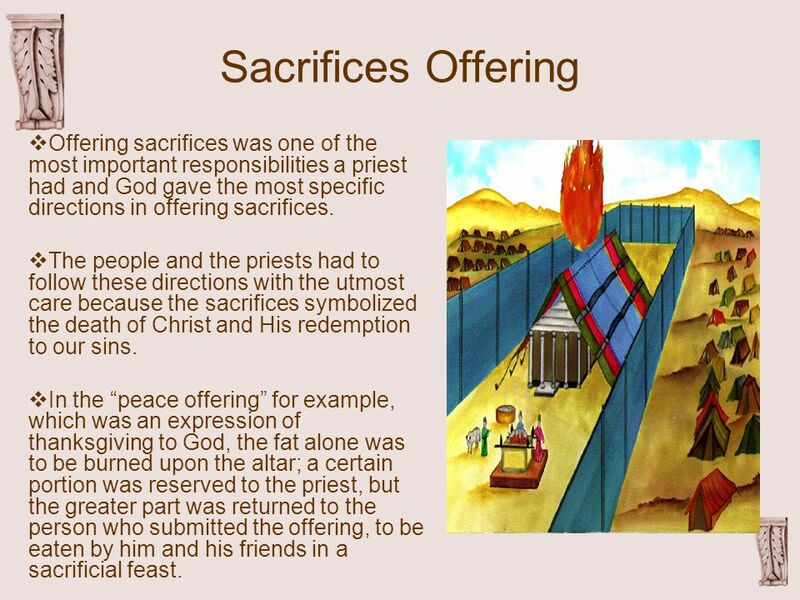 7 Sacrifices Offering  Offering sacrifices was one of the most important responsibilities a priest had and God gave the most specific directions in offering sacrifices.  The people and the priests had to follow these directions with the utmost care because the sacrifices symbolized the death of Christ and His redemption to our sins.  In the “peace offering” for example, which was an expression of thanksgiving to God, the fat alone was to be burned upon the altar; a certain portion was reserved to the priest, but the greater part was returned to the person who submitted the offering, to be eaten by him and his friends in a sacrificial feast. 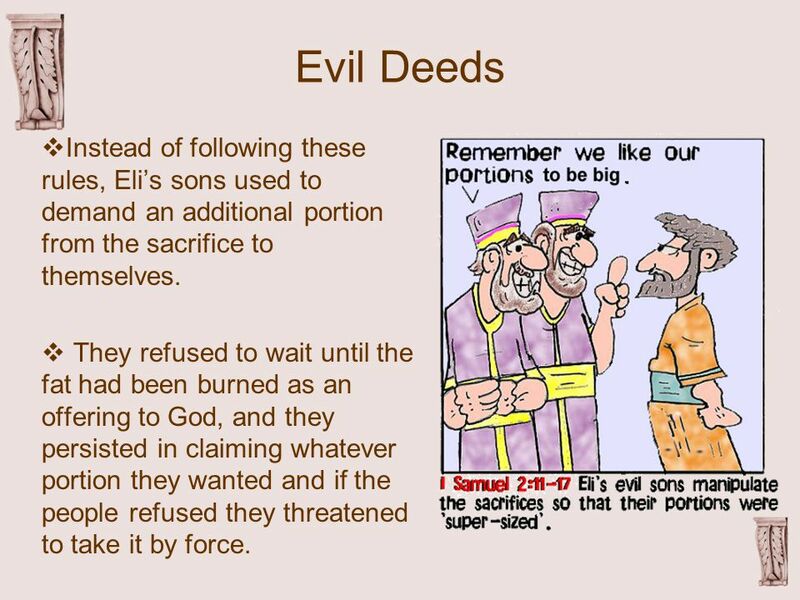 8 Evil Deeds  Instead of following these rules, Eli’s sons used to demand an additional portion from the sacrifice to themselves.  They refused to wait until the fat had been burned as an offering to God, and they persisted in claiming whatever portion they wanted and if the people refused they threatened to take it by force. 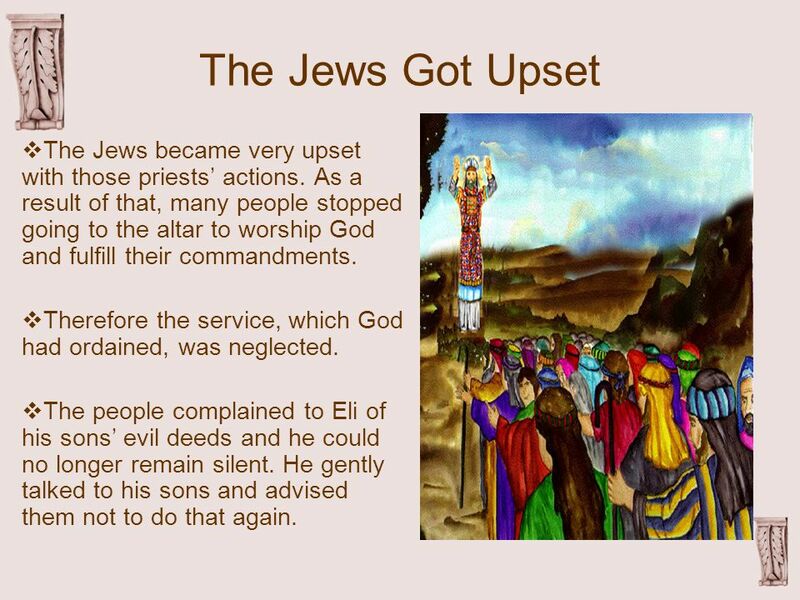 9 The Jews Got Upset  The Jews became very upset with those priests’ actions. As a result of that, many people stopped going to the altar to worship God and fulfill their commandments.  Therefore the service, which God had ordained, was neglected.  The people complained to Eli of his sons’ evil deeds and he could no longer remain silent. He gently talked to his sons and advised them not to do that again. 10 Samuel the Prophet  The two sons didn’t consider their father’s advice and continued on doing what they pleased to do. 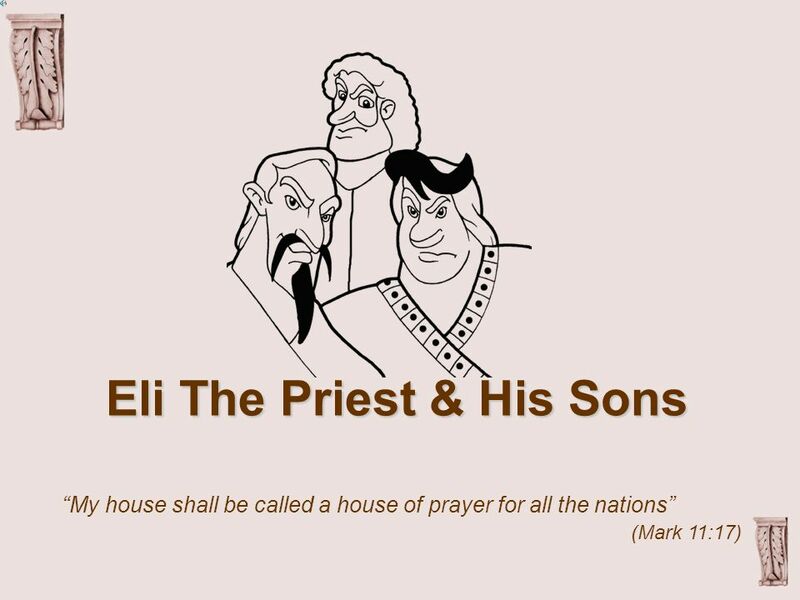  Eli still permitted his sons to bring corruption into the holy alter of God. 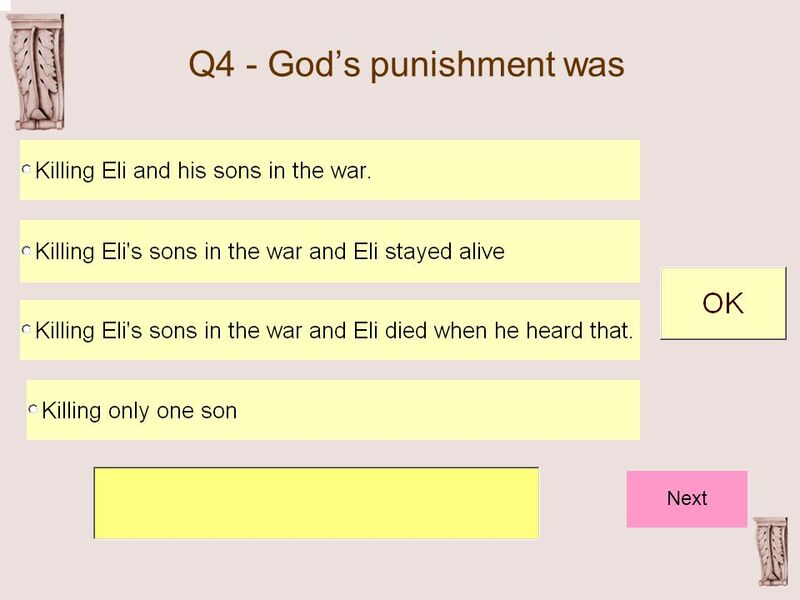  God was angry with Eli and his sons. 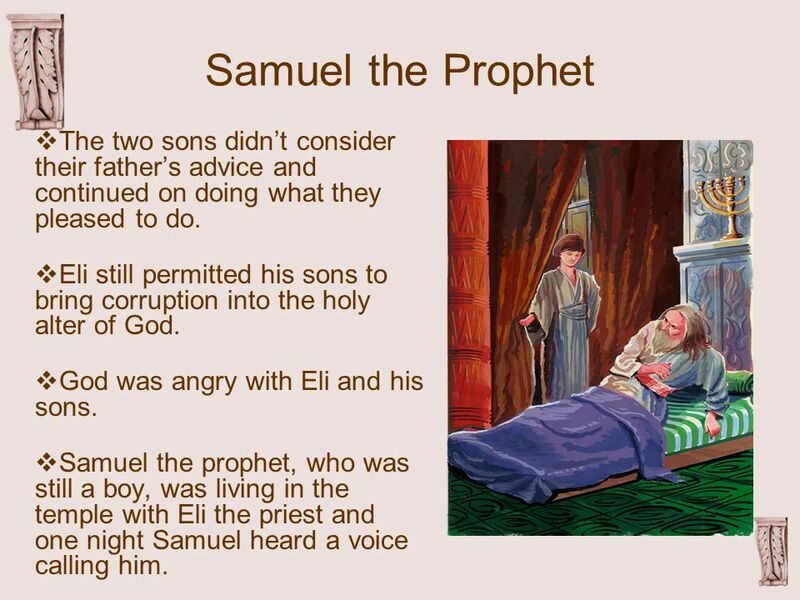  Samuel the prophet, who was still a boy, was living in the temple with Eli the priest and one night Samuel heard a voice calling him. 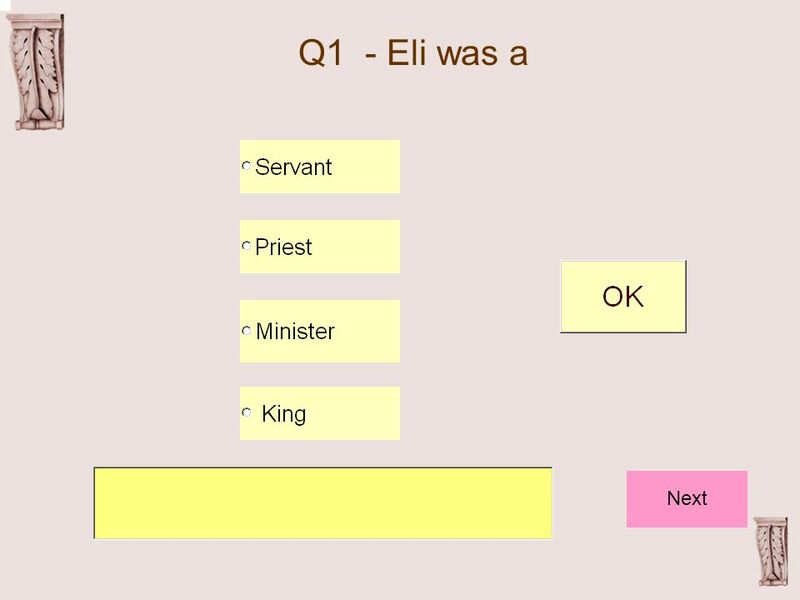 11 God Speaks  So he got up and went to Eli to ask him why he had called but Eli told him that he didn’t. 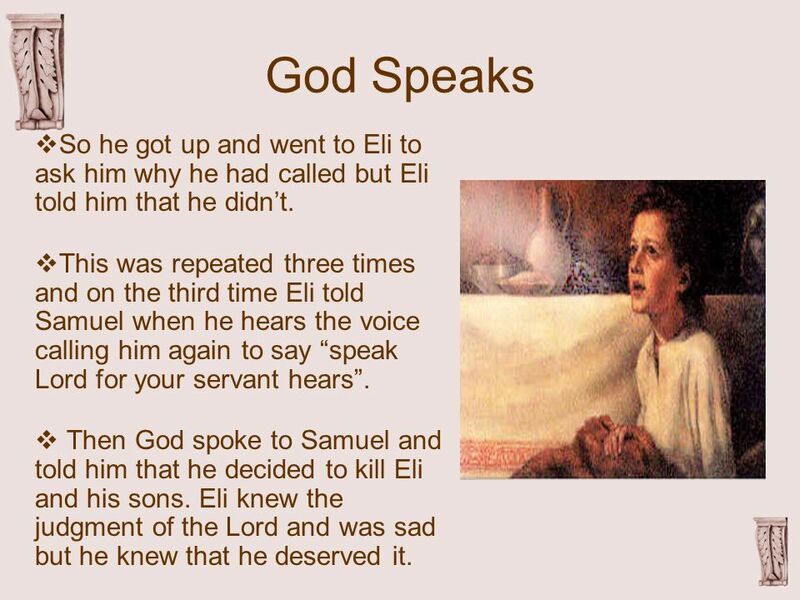  This was repeated three times and on the third time Eli told Samuel when he hears the voice calling him again to say “speak Lord for your servant hears”. 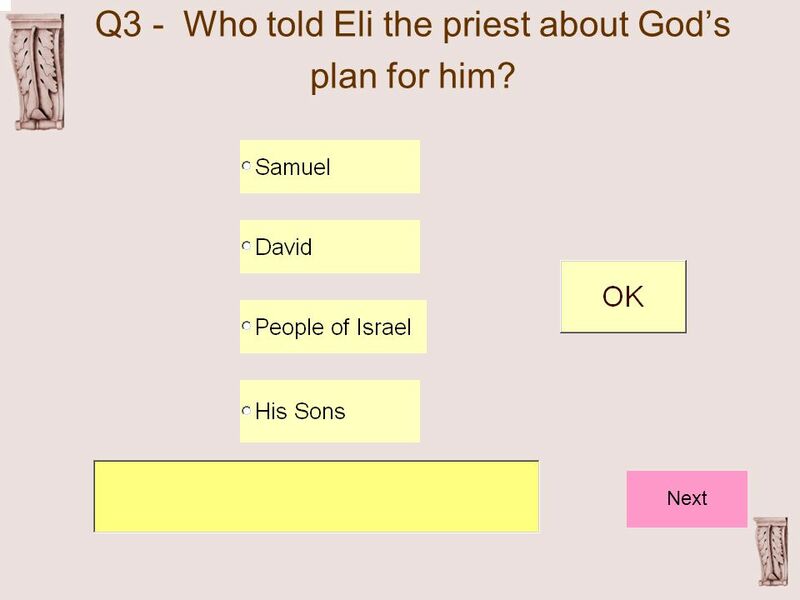  Then God spoke to Samuel and told him that he decided to kill Eli and his sons. 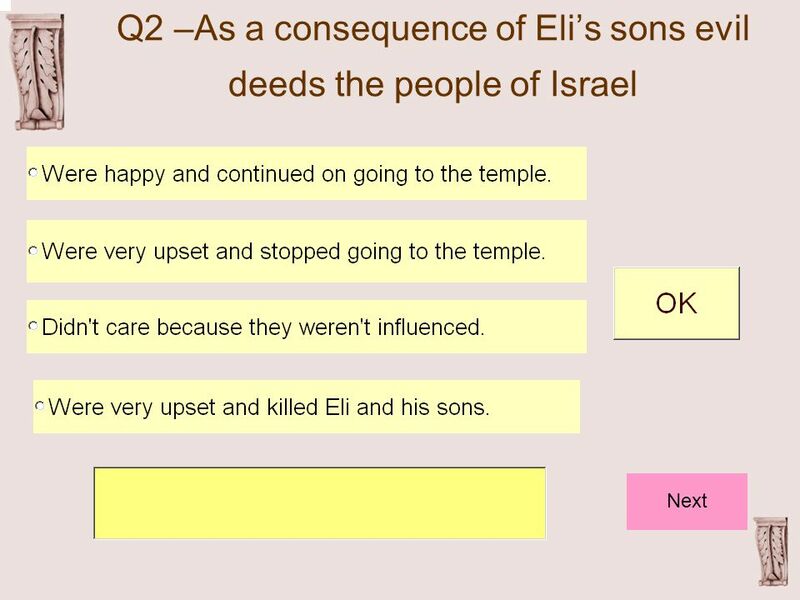 Eli knew the judgment of the Lord and was sad but he knew that he deserved it. 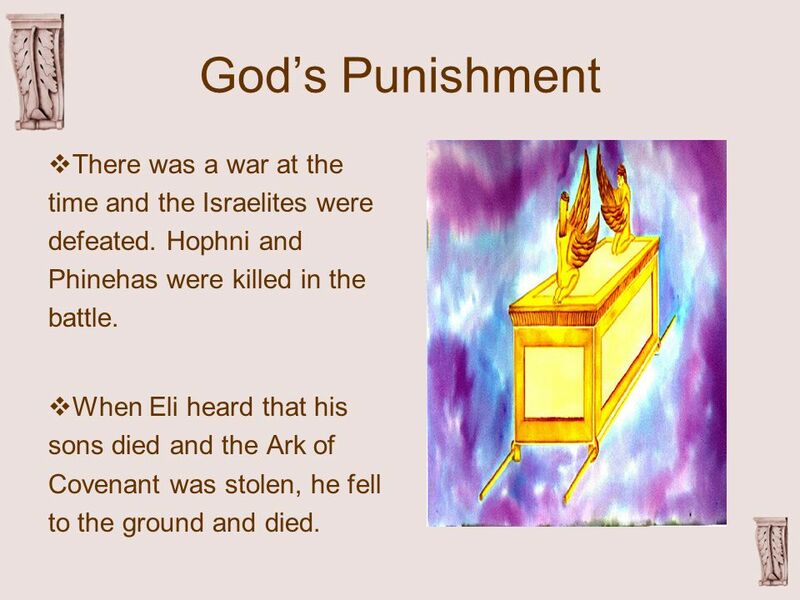 12 God’s Punishment  There was a war at the time and the Israelites were defeated. Hophni and Phinehas were killed in the battle.  When Eli heard that his sons died and the Ark of Covenant was stolen, he fell to the ground and died. 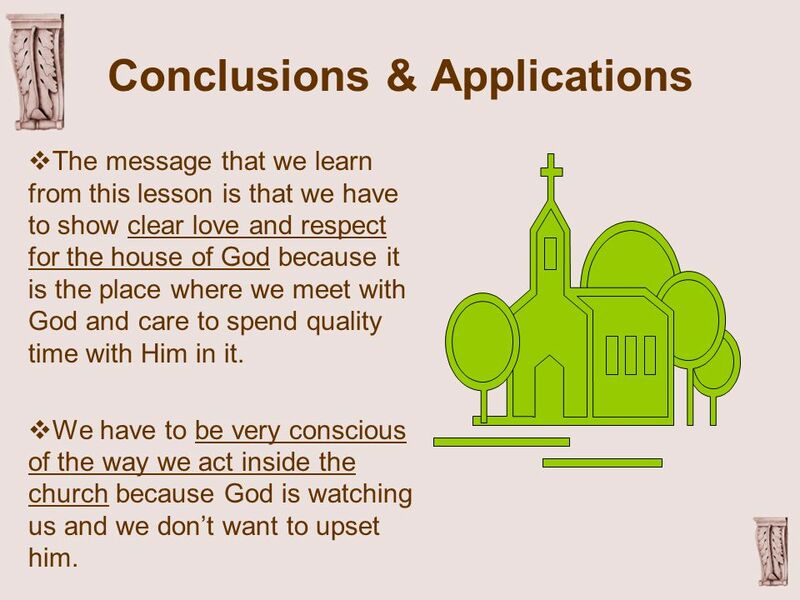 13 Conclusions & Applications  The message that we learn from this lesson is that we have to show clear love and respect for the house of God because it is the place where we meet with God and care to spend quality time with Him in it.  We have to be very conscious of the way we act inside the church because God is watching us and we don’t want to upset him. 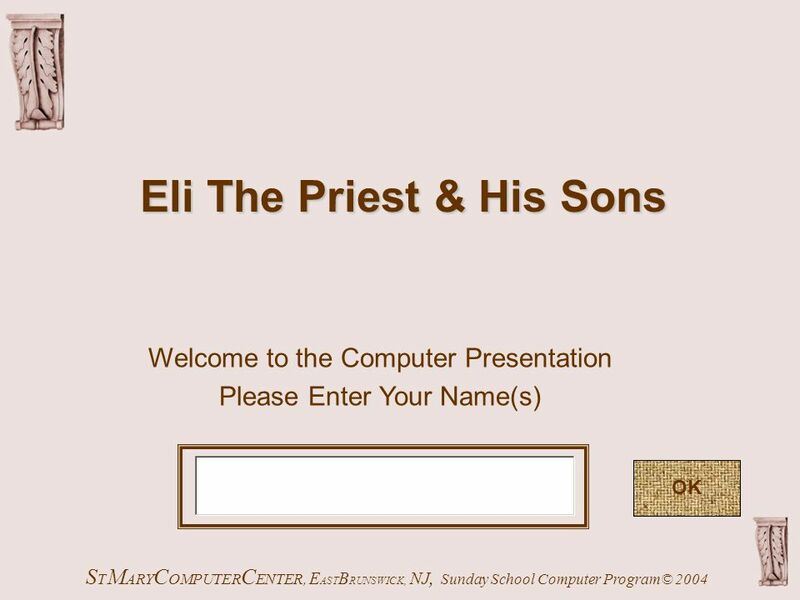 Download ppt "Eli The Priest & His Sons “My house shall be called a house of prayer for all the nations” (Mark 11:17)"
Love for the Church STMARYCOMPUTERCENTER, EASTBRUNSWICK, NJ, Sunday School Computer Program© 2011. 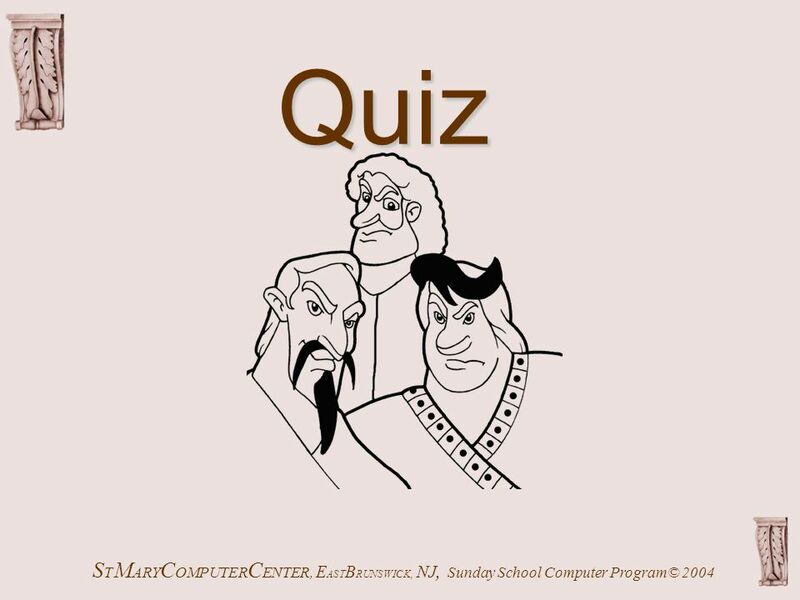 S T M ARY C OMPUTER C ENTER, E AST B RUNSWICK, NJ, Sunday School Computer Program© 2011. 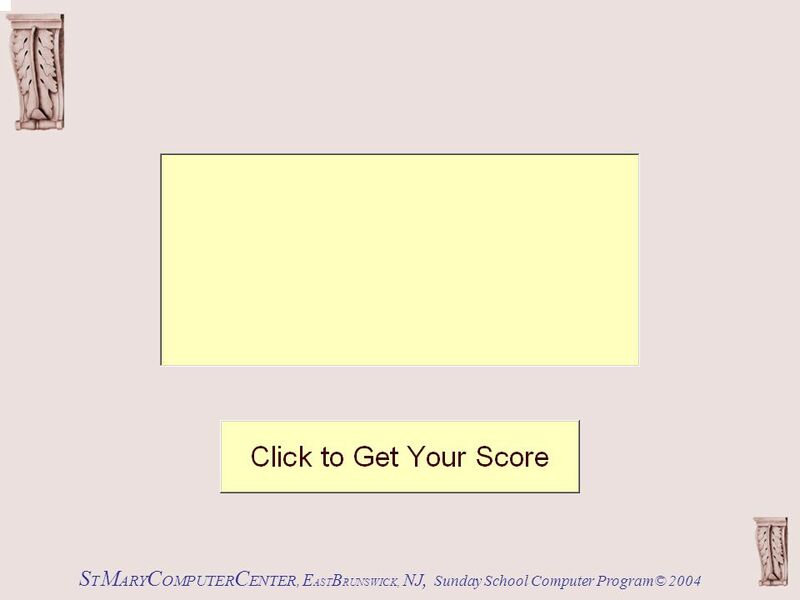 S T M ARY C OMPUTER C ENTER, E AST B RUNSWICK, NJ, Sunday School Computer Program© 2013 OK.
Reclaiming Your Parental Authority. Who is in Charge – Your Kids or You? Wrestling With God S T M ARY C OMPUTER C ENTER, E AST B RUNSWICK, NJ, Sunday School Computer Program© 2011. Renowned Prayers of the Bible Hannah & Solomon’s Prayers. Lesson 16. Why is the work of the Holy Spirit so important for us?